Gender Discrepancy voices the biased outlook that women and men can never be treated in equal terms. This unequal treatment due to their gender has its genesis in socially constructed different gender roles. Poetry, as a salient genre of literature, faithfully depicts various social, economical and psychological aspects of contemporary society and its culture. Kamala Das is an Indo-Anglican poetess known for her candid and bold assertion against pre-set patriarchal norms. Her poetry is a portrait of the pain, despair and disgust that every women encounter in her life when she has to play the role of an ideal daughter, an ideal wife and an ideal mother. Taslima Nasrin is a well-known controversial writer from Bangladesh. Her profession as a gynecologist gave her an opportunity to come into contact with young girls who had been brutally raped and the callous attitude of the parents towards their newborn girl child. It creates a curiosity in her to peep into the dark realms of the human psyche constructed through ages by patriarchal ideas. Thus her poetry is a counter-attack to the hegemonic patriarchal set up where women have no identity of their own. Through a comparative study of their poems, this paper attempts to give a thumbnail view of the pathetic condition of women in both the countries. Keywords: Woman writing, Identity crisis, Literature, Gender roles, Patriarchal hegemony. Kamala Das, the famous Malabari Malayalam poetess from Kerala, is known for her voice of protest against the patriarchal setup. Her poetry is marked by the honest exploration of self and female sexuality. Her best known poetical works are “Summer in Calcutta” (1965), “The Descendant” (1967), “The Old Playhouse and other poems” (1973), “Collected Poems Vol.1”, (1984), “Only the Soul knows How to Sing: Selection from Kamala Das” (1996), and “Encountering Kamala” (2007). Her poetry articulates the very feelings of women who find themselves trapped inside the four walls of their house, who wants to get out from their age-old status of ‘Angel of the House’. Those women who always feel the pressure of being inferior to men. Her poetry is a fine portrait of the pain, despair and disgust that every woman experience under their predefined traditional roles. K.Satchidanandan says about her poetry, ‘Here was a voice that was feminine to the core, often confessional in vein, that spoke uninhibitedly about woman's desire and her unending search for true love. She had little respect for tradition and yet many traditions went into the making of her poetry: the rebellious spirituality of the women Bhakti poets, the sonorous sensuousness of the Tamil Sangam poets, the empathy with the down-trodden and the hatred of violence central to the great poetry of her mother, Balamani Amma, the melancholy tempered by a larger vision of life characteristic of the poetry of her uncle Nalappatt Narayana Menon (who was also the translator, of Victor Hugo; of Havelock Ellis)’(Satchidanandan 53).It is because of her poetic genius that she has been nominated and shortlisted for the Nobel Prize for Literature in 1984. As Kamala Das is known for her candid and bold assertion against the traditional role of woman in the Indian society, Taslima Nasrin is a controversial poetess who is known for her writings which are extremely critical of Islamic ideas and voices the emancipation of woman in the Bangladeshi Islamic Patriarchal society. Although many critics dismiss her writings as anti-Islamic propaganda, her works has been hugely acclaimed in the west where she has received various awards for her protest for the rights of women through her works. This includes Human Rights Award from the Government of France (1994), Edict of Nantes Prize from France (1994), Kurt Tucholsky Prize, Swedish PEN, Sweden (1994) and Feminist of the Year from Feminist Majority foundation, U.S.A (1994) to name a few. Men will revile you, call you a loose woman. In fact, he’s the one I most don’t know. Picking lice from each other’s hair. Lulling them to sleep in the glow of the bottle lamp. In Kamala Das’ autobiography, My Story, she says: “I settled down to housekeeping and sewed the button on and darned our old garments, all through the hot afternoons. In the evening, I bought for my husband his tea and plate of snags. I kept myself busy with dreary housework while my spirit protested and cried get out of this trap, escape…” (81). The first publication of her autobiography was in Malayalam under the title ‘Ente Katha’ in 1973. As she was from a famous, respectable family, her work became a sensation overnight and created a lot of controversy. Later she translated it in English under the title ‘My Story’ with epigraphs. One may, on a superficial level, call ‘Das’ a feminist, but a deeper understanding of her poems will reveal the fact that unlike other feminist poems she was not at all associated with a particular area of feminism. Her feminism is a feminism of common Indian women whose only fault is that they desires for a respectful life. As K. Satchidanandan says, “Kamala Das denounced the extreme forms of feminism as she could not imagine a world without men or think that replacing male hegemony with female hegemony would create an egalitarian world; she never wanted to master anyone including herself. She is deeply aware of her difference as woman but would see it as natural rather than glorify it” (54). Millions of voices can be heard through that one voice of Kamala Das, who represents them and their universal desire of tear down the mask of sophistry. Das utters: “Then I wore a shirt and my/Brother's trousers, Cut my hair short and ignored/ My womanliness” (The Best of Kamala Das 12-13). K. Satchidanandan says regarding this; “The woman cannot change her body; so the poet changes her dress and tries to imitate men. But the voices of the tradition would force her back into sarees, the saree becoming here a sign of convention. She is pushed back into her expected gender roles: wife, cook, and embroiderer, quarreler with servants: the gender role also becomes a class role” (12). Men have made religion to deny it. Society has cooked a snook at it. A woman can’t live without a man? Ha, what logic, the logic of a ghost! Bah bah! Don’t go to poisonous ant bushes. Open fields, rivers, restless seas. Finally to conclude, it can be sais that despite many negative criticisms, Kamala Das and Taslima Nasrin have done justice to their roles as an artist and portray the real picture of their respective societies without the employment of any false glorification. They faithfully depict the gender discrepancy prevailed in both the societies of India and Bangladesh through their confessional works. Unlike earlier women poets like Toru Dutt and Sarojini Naidu in India and Begam Rokeya in Bangladesh, Kamala Das and Taslima Nasrin broke free from the romantic traditions of poetry and created a more realistic poetry that represents the feelings and desires of every woman in the world who had been subject to political and social injustice. Anjum, Tasneem. “Kamala Das’ Existential Predicament.” Indian Poetry in English: Roots and Blossoms, Vol-1. Eds. Amar nath Prasad and S.K. Paul. New Delhi: Sarup and Sons, 2007. 119-138. Print. Naik, M.K. A History of Indian English Literature. Delhi: Sahitya Academy, 2009. Print. Das, Kamala. My Story. Noida, UP: HarperCollins, 2009. Print. ---. The Best of Kamala Das. Ed. P.P Raveendran. Calicut: Bodhi Publishing House, 1991. Print. ---. Collected Poems, Vol. 1. Trivandrum: Navakerala Printers, 1984.Print. ---. The Old Playhouse and Other Poems. Mumbai: Orient Longman Private Limited, 2004. Print. Deshmukh, Nanda C. “Taslima Nasrin’s poetry- Images of Enslavement and Liberation.” International Journal of English & Literature 5.2 (2015) :37-44. Print. Nasrin, Taslima. Meyebela: My Bengali Girlhood. U.S.A: Steerforth, 1998. Print. ---. All About Women. New Delhi, Rupa & Co. 2005. Print. Satchidanandan, K. “Transcending the Body.” Only the Soul Knows How to Sing. By Kamala Das. Kottayam: DC Books, 1996. Print. ---. “Redefining the Genre: Kamala Das (1934-2009).” Indian Literature, 53 (May/June 2009): 49-55. Print. Wikipedia contributors. “Taslima Nasrin.” en.wikipedia.org. Wikipedia, The Free Encyclopedia, 20 May. 2017. Web. 25 May. 2017. Wikipedia contributors. “Kamala Surayya.” en.wikipedia.org. Wikipedia, The Free Encyclopedia, 1 May. 2017. Web. 25 May. 2017. 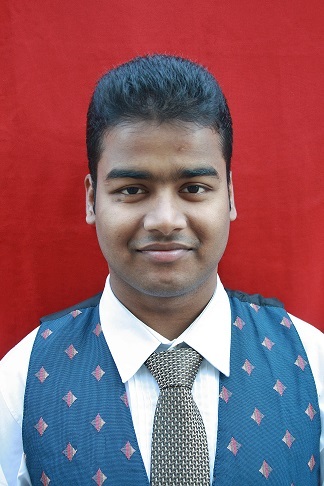 Animesh Das is currently doing his master’s in English Literature from Guru Ghasidas Central University, Chhattisgarh. Some of his poems have already been published in many international journals such as The Galaxy Journal. His area of interest is gender studies.